The train station sat right where we wanted to be and the first part of the day was spent wandering around and purposely getting lost in the streets, bridges, canals, and alley ways. 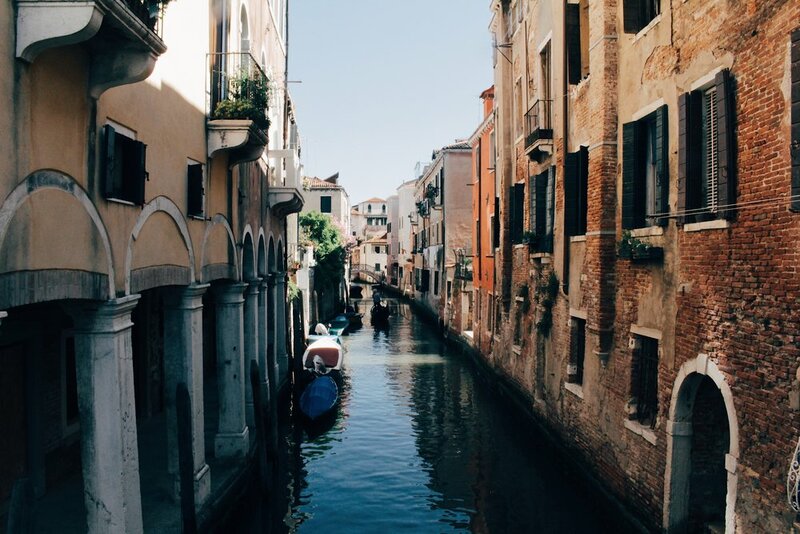 Venice was definitely my favorite city I visited in Italy; while definitely catered towards tourist attractions, it felt cleaner than Rome and the water was the bluer than any other seaside towns I had seen. We eventually made our way to the main square, Piazza San. 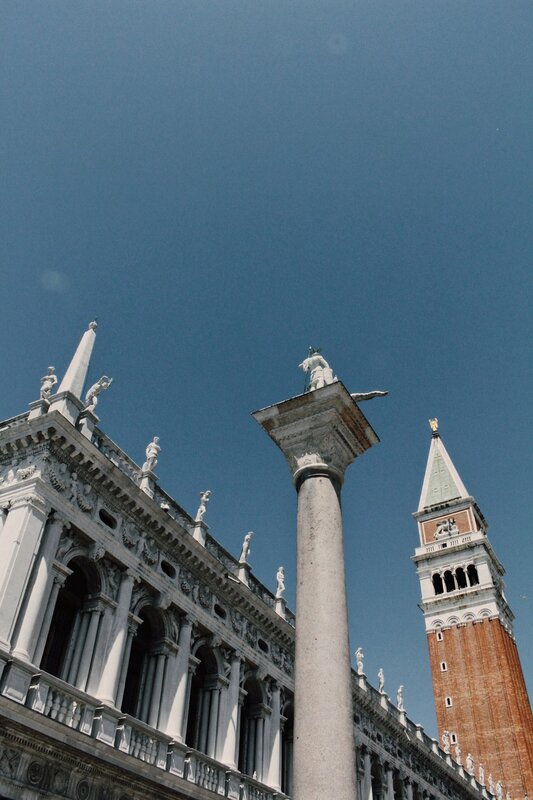 Marco where St. Mark’s Basilica, Doge’s Palace, and the Bridge of Sighs is located. 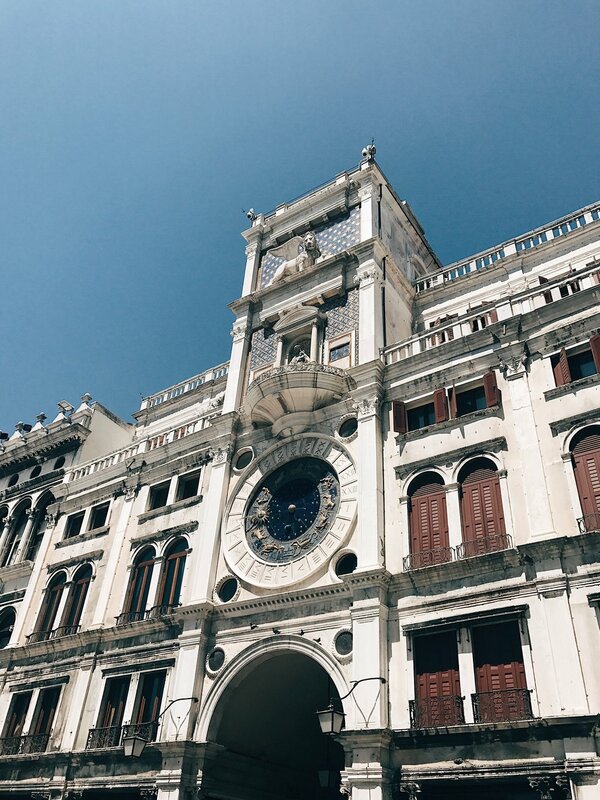 We had taken a little time to research the history behind these historical sites so it was exciting to see these landmarks in person but the square was so crowded that we didn’t spend a lot of time there. Some of our favorite moments of that day was simply sitting on the wall overlooking the harbor and strait separating the island from the mainland and soaking in the sun and sight of boats sailing past us. I had heard of a local cook who sets up a stand where he cooks food for the locals of Venice every Saturday afternoon and serves them his plate of choice. The stand is called Al Muro and can be located in the Campo Bella square between 12:00-18:00 so we decided to look in on some authentic local food instead of eating at one of the tourist shops. The food is also pretty reasonably priced (each heaping plate is around 10€ and includes a glass of wine). 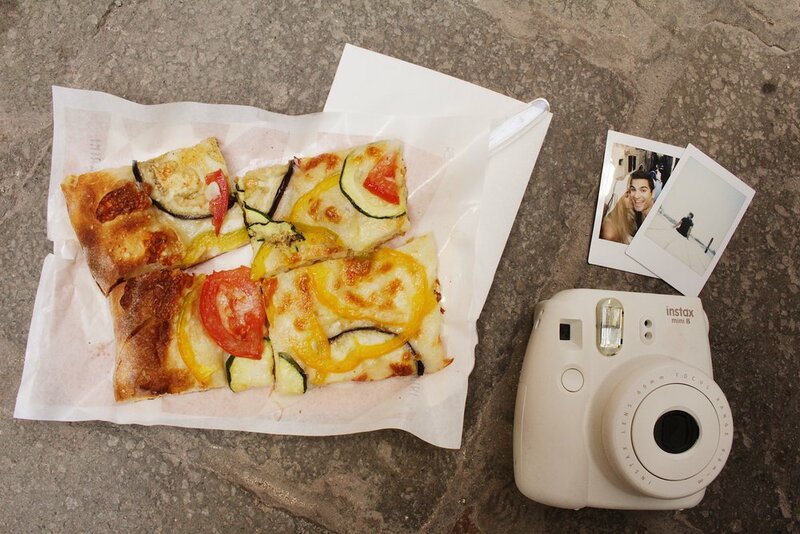 We also stumbled upon a small pizza shop where you can get a 2 slices of pizza for 3€ which is pretty good considering how expensive Venice can be. The small shop is called Farini and many people just got their slices to go so they could walk around or sit down in a small street to enjoy it. Our final couple of hours were spent in a small modern art museum that we stumbled upon called Palazzo Michiel. It currently was displaying an Istanbul based design collection and also had a balcony opening up onto a major Venetian canal. Our overall takeaway from this little romantic island was that it was designed for tourists but once one pushed through the crowds and tourists traps, there was an unique charm about the place with that cannot be found anywhere else on earth. 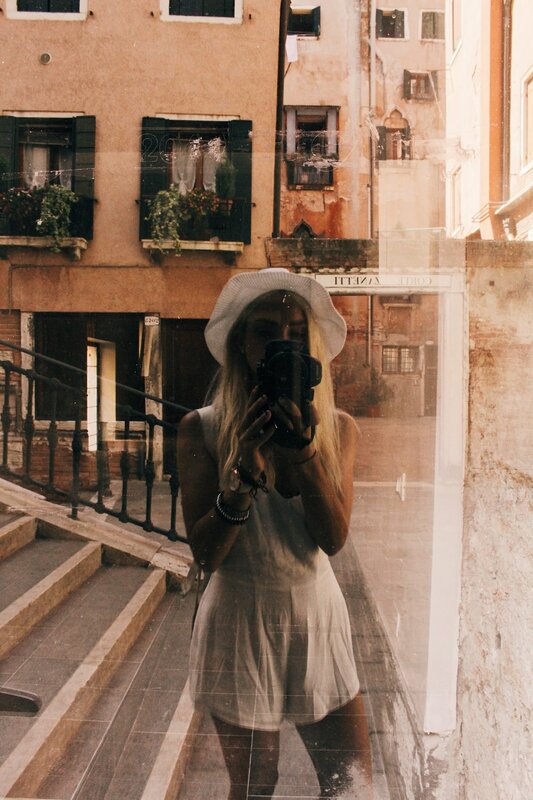 Anyone interested in history, architecture, Italian culture, and sunshine on clear blue water, will definitely feel like a day spent in Venice was a day well spent.